Junior Lifeguard Program, Maui Now file photo. 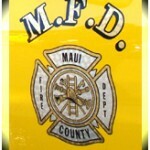 The County of Maui Department of Parks & Recreation launches the 2012 edition of its Junior Lifeguard Program. The program is being offered to young adults between the ages of 13 and 17. All participants must meet the age requirements by December 31, 2012. Program locations include Maui, Lanai, and a separate session for Hana. Space is limited and varies at each location. All those applying for the program will have to pass a swim test at the time of registration, consisting of a 300 meter swim, non-stop, within 11 minutes. 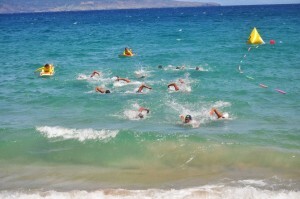 In North, South and West Maui, there will be two separate Junior Lifeguard Program sessions. Session I is from June 25 to July 6, and Session II runs from July 9 to July 20. Registration for both sessions is on Saturday, April 28 from 8 to 11 a.m. at Baldwin Beach Park in Paia, Kamaole I in Kihei and at Hanakao’o (Canoe) Beach Park in Lahaina. Maui session registrants will be accepted on a first come/first serve basis. The Hana session in East Maui runs from Monday, June 4 to Friday, June 8, from 9 a.m. to 3 p.m. at Hana Bay. Registration forms can be picked up at the Maui Department of Parks and Recreation office in Hana, or online at mauicounty.gov. The Hana session is limited to the first 20 qualified participants. The Lanai session will be held Monday, June 18 to Friday, June 22, from 9 a.m. to 3 p.m. at Hulopoe Beach. Registration forms are available at the Maui County Department of Parks and Recreation office on Lanai, or online at mauicounty.gov. Forms are due back at the Lanai parks office no later than May 20. The Lanai session is limited to the first 15 qualified participants. Training consists of familiarization with water safety skills, CPR, first aid, surf and rescue techniques, ocean swimming, paddle boarding and lifesaving skills. Although the program is free there is a suggested donation of $15. For more information, contact Cary Kayama at the Aquatics Division at 270-6140. ***Supporting information courtesy: County of Maui.